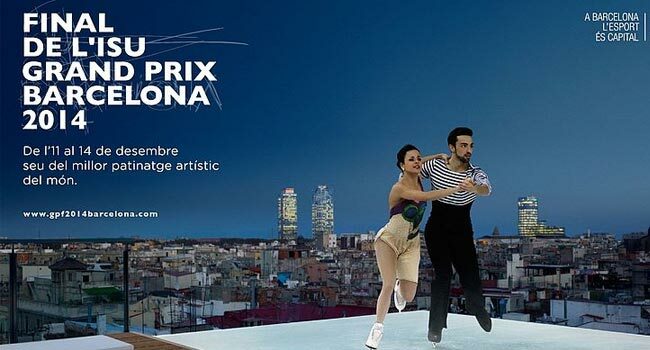 Barcelona will be the center of the world figure skating next December with the celebration of the ISU Grand Prix of Figure Skating Final. From 11 to 13 December Barcelona will hold the final of ISU Grand Prix of Figure Skating, one of the most important competitions worldwide of ice figure skating after the World Championships and the Olympic Games. The Barcelona event is the last tournament of the ISU Grand Prix of Figure Skating circuit which since the last October has gone through the US, Canada, China, Russia, France and Japan. Only the best skaters in the world will qualify for the final, which will decide the champions, and which this year 2014 we will be able to enjoy in Barcelona. The competition is also held in conjunction with the Final of the ISU Junior Grand Prix. Barcelona, already accustomed to hosting sporting events of the highest international level, has chosen for the celebration of the ISU Grand Prix Final 2014 International Convention Centre (CCIB) located in the Forum area of Barcelona. The competition will be held on the 11, 12 and 13 of December, and on Sunday the ice skaters will perform an exhibition. Tickets can be bought for both the competition days and the exhibition day, but also for the training sessions.